Image by Tony Carr, used with permission. PI Cheryl Hodgkinson-Williams, mentor Stavros Xanthopoylos, Sarah Goodier and Thomas King attended the 2nd African Virtual University (AVU) conference held in Nairobi, Kenya, on 2 and 3 July 2015. Organised by fellow ROER4D researcher Atieno Adala, this conference brought together a largely high-level delegation, including about 30 senior university leaders from many of the 21 countries that are part of the AVU network. This conference explored the theme of linking open education and eLearning research to practice. The 2nd Conference of the African Virtual University drew together scholars, researchers, university administrators and business people involved with or interested in open, distance and mobile education. The underlying issue driving the conference was the real and acknowledged need to provide tertiary education to a rapidly expanding number of students in Africa while maintaining the quality of educational provision. Online education, eLearning and mobile learning all offer exciting possibilities for African institutions to grapple with these issues. Cheryl’s keynote presentation on Day 1 focused on the factors that enable and constrain open education practices in the Global South. She discussed the challenges of expanding numbers of higher education students in an economically constrained environment, and how the pressure of providing high quality, cost-effective, accessible education is strongly felt by higher education institutions. eLearning, through the affordances provided by the internet, has become common-place as a response to this. Open education is seen as a flexible and cost-effective addition and African institutions and collectives, such as OER Africa and the AVU, have been producing and sharing open educational resources (OERs) and open textbooks. These resources are specifically licensed to enable their legal reuse, for example, under a Creative Commons (CC) license. Massive Open Online Courses (MOOCs) from African institutions are also making an appearance. These internet-enabled resources are filling a need for affordable, up-to-date teaching materials that contain expert input. The uptake, however, has been slow. Few institutions currently have OER policies or publish CC-licensed works and most OER research is taking place in the Global North. Cheryl discussed the ROER4D Project and how it is helping to build the knowledge base around OERs in the global south through its various research sub-projects. Also, on Day 1, Sarah’s presentation on the iterative engagement between curation and evaluation in an open research project covered the work done in the project on the strategy to curate and disseminate the project’s outputs and how this will be evaluated. Researching in the open – the practice of releasing interim or draft outputs, early data sets and project planning documents during the course of project activity – requires that researchers and projects take control over curating their own outputs and data. This new way of looking at the research process emphasises not only cost- and barrier-free access to the final research outputs, but also greater transparency and openness in conducting the research itself. ROER4D has embraced this practice, with curation (and dissemination) being made one of the two main evaluation priority areas for the project as it enters its next stage. Linking elements of the project’s curation strategy explicitly to the evaluation plan and discussing these linkages, data and uses with the ROER4D Network Hub has been a successful approach so far. Being prepared to adapt the curation strategy and the evaluation plan to optimise the project contributes to the making the most of the opportunities and minimising the challenges of developing and evaluating a curation strategy in a large-scale open research project. On Day 2, Stavros’ presentation explored Fundação Getulio Vargas (FGV) Online, the online learning arm of the Brazilian higher education institution FGV. 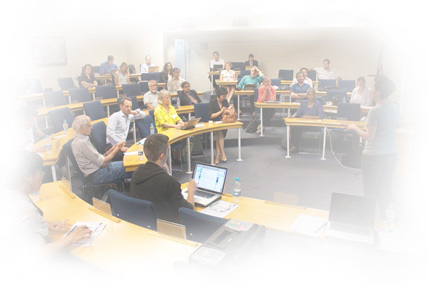 FGV was the first Brazilian institution to become a member of the Open Education Consortium (OEC) in 2008. 51 courses are available in different knowledge areas, and 5 of these have a version in Spanish. The main course page receives more than 30 million visits and over 7.5 million students are registered. 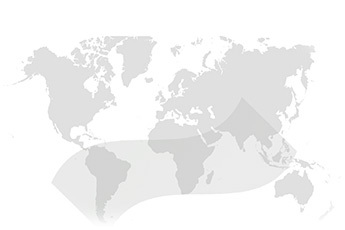 FGV online is also used by 34 other countries, including Angola. Educational gaps and the size of the African continent justify the implementation of integrated online, open and flexible educational models to reduce costs and increase reach to education and learning, use and combine existing resources to gain scale. The nature of the conference and the theme resulted in both research and practice-based presentations being given by those from academic institutions working in those areas and included several presentations about universities’ experiences of implementing eLearning and open educational practices at their institutions. This mix of presentation topics gave a good overview of the current approaches, challenges and opportunities that higher education is facing in implementing eLearning and moving towards open education. Previous story Using open educational resources: a shot in the dark?